Star footballer Sergio Agüero may press charges against a fan he got into an altercation with at the end of an FA Cup match. The fan was just one of many who had stormed onto the field after the match had ended. Both clubs involved and the Football Association are looking into the incident. 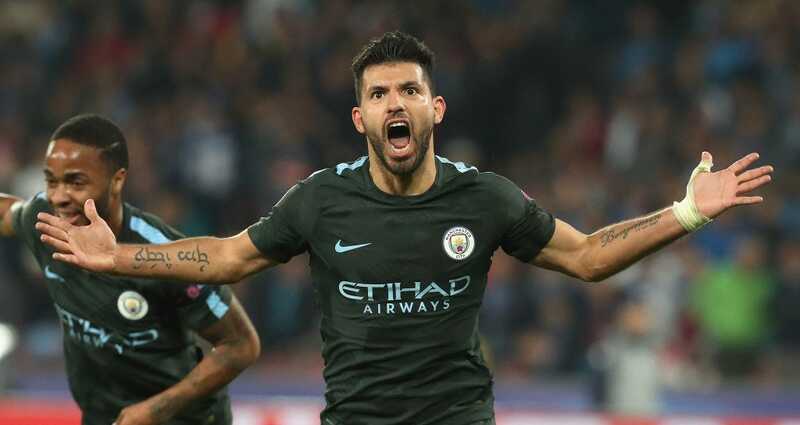 Star Manchester City striker Sergio Agüero is considering pressing charges against a fan for common assault following an altercation at the end of Monday’s FA Cup match against Wigan Athletic, according to The Guardian. Agüero claims the fan spat in his ear and yelled an obscenity in his direction. The altercation came amid a pitch invasion by Wigan Athletic supporters after the club pulled off a shocking upset in a fifth-round FA Cup tie between the clubs. The City players had not been able to safely get off the field before the pitch invasion began. The pitch invasion wasn’t the only bit of crowd disorder following the match. City fans threw objects over the perimeter fence and ripped up advertising hoardings, flinging them towards the stewards and police. Video that has been shared on social media also indicates that City supporters had been harassed by Wigan supporters. The FA will also investigate the matter, and will look into all video of the incident as well as the referee report. Wigan chairman David Sharpe has also said the club will conduct its own investigation of the incident. In addition to the unrest between fans, City manager Pep Guardiola and Wigan manager Paul Cook had a heated disagreement in the tunnel at half-time. As for City’s on-the-field concerns, the loss was shocking. City has been running away with the English Premier League this year, but their loss to Wigan knocked them out of the FA Cup and officially eliminates the possibility of them winning the vaunted treble this year.